Doctors are urging people not to let their guard down, as flu season is far from over. The number of reported cases of flu-like illnesses in California is in the midst of late-season spike. 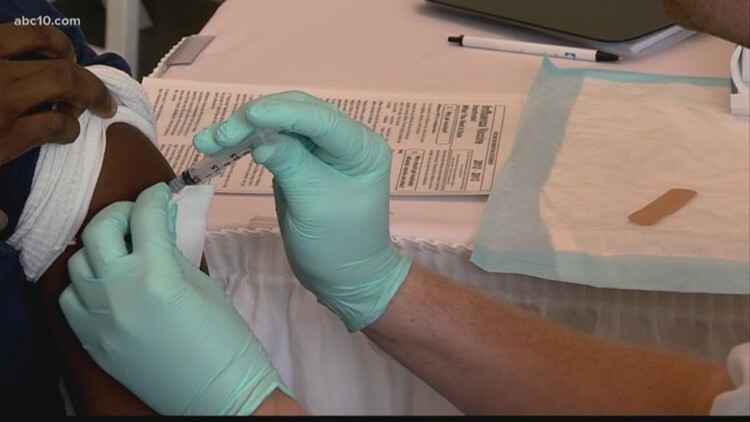 SACRAMENTO, Calif. — The California Department of Public Health is warning people about a late-season spike in reported flu-like illnesses. 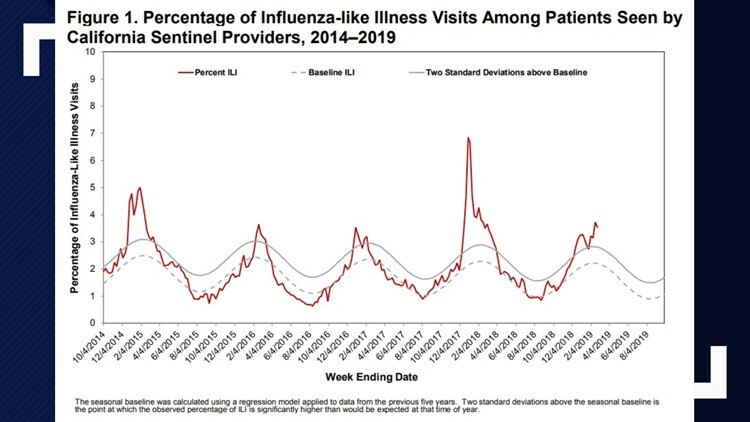 A spike occurred in early January and decreased slightly after that, but the number of reported influenza-like illnesses surged once again in mid-February, to the highest number of reported instances this season. It’s on a slow decline now, but flu season is very much still a danger. The California Department of Public Health is warning about a late-season spike in cases of flu-like illnesses. The CDPH says the numbers of reported flu cases and hospitalizations due to flu-like symptoms are both currently “above expected levels” for this time of year. Nationally, reported cases of flu-like illnesses are up as well, according to the CDC. The dominant strain this flu season is Influenza A (H1N1)pdm09, and the CDPH says this season’s preliminary flu vaccine efficacy estimate for preventing laboratory-confirmed flu is 47 percent. While California is currently experiencing a spike for this flu season, the 2017-18 season was worse, with more hospitalizations and reported outpatient cases. Flu season is here. So, it's time for the annual flu shot, right? For some of you the answer is 'no' because you say it might actually give you the flu. Well, it can't. So, let's roll up our sleeves and connect the dots.